In a bowl,take besan and rice flour,add red chilli powder and salt.Mix with little water and make like bhaji batter.a thick paste. Boil the potatoes,peel the outer skin and mash them. Heat oil and splutter mustard,then add green chillis,ginger and onion and saute till brown colour. Add hing and and potatoes and salt. Fry for a minute and allow it to cool for sometime.Squeeze lemon,add cilantro and mix well. Make balls of lemon size. 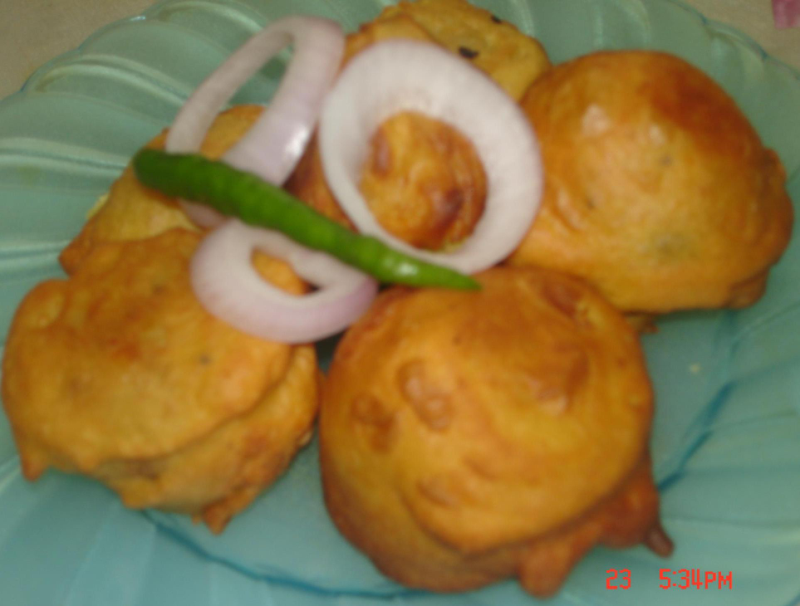 Dip the lemon sized balls into the thick bhaji paste and deep fry in the kadai.